Our drum instructors teach rock, metal, jazz, funk, blues and many other styles. Drum language can be complex and our instructors will challenge any drummer with a wide variety of technical exercises designed to improve your speed and comfort. All drummers bring their favorite drum parts to learn in their lessons and theory is encouraged. We have many drum students who play in local bands be it in rock clubs or their local churches. You do not have to purchase a drum kit to take lessons. Beginning students can learn with a drum pad and sticks for only $40.00. Monday through Saturday 9:00 a.m. to 9:00 p.m.
WHAT DO YOU LEARN IN YOUR DRUM LESSONS? 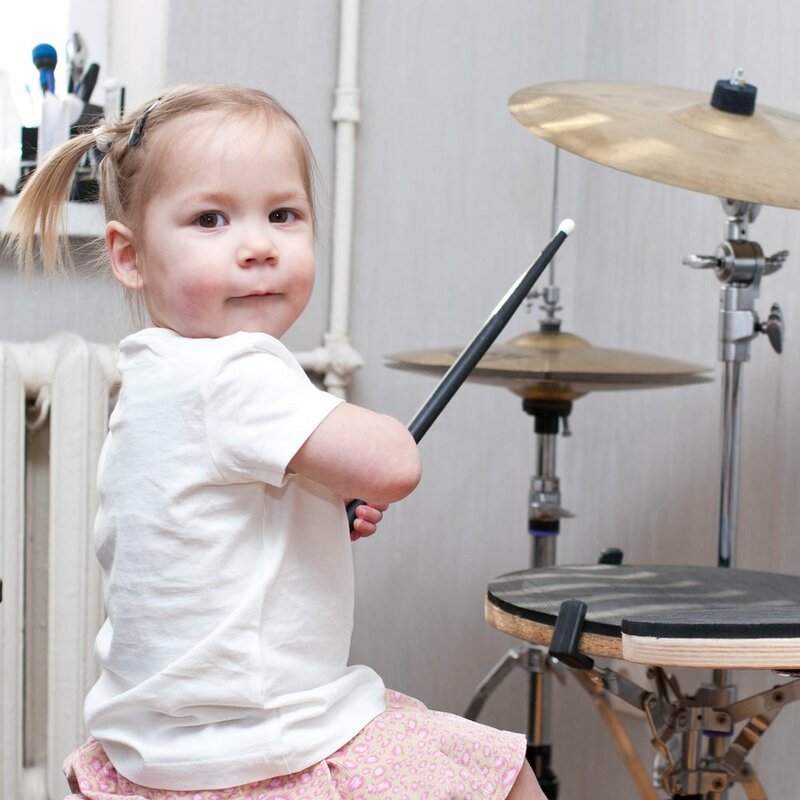 A seven year old having their first drum lesson will have very different needs than a fifty seven year old taking up piano for the 2nd time after having had lessons as a child. We teach of all styles from rock, pop, country, blues, folk, indie, alternative, metal and classical. Our drum instructors have received their education from prestigious institutions such as Rollins College, University of Central Florida and University of South Florida. Many of our instructors have gone on performance tours of the US and Europe and have 15 years of professional performance and teaching experience. In addition to their teaching credentials, our teachers have warm personalities, are extremely friendly and strive to get to know each student and their parent on a personal level. Drum lessons are first come, first serve so contact us today to arrange your first lesson!